RVing Is Fun When the Plumbing Works! RVing is wonderful, but only if your plumbing is working smoothly! One aspect of RVing that is not delightful is dealing with the RV sewage and waste water holding tanks. Every RVer, from the couple in the million dollar Prevost to the guy or gal in the 20 year old Winnebago, has to put on their rubber gloves and regularly get down to the unpleasant business of emptying their waste water holding tanks. However, with proper care and maintenance, all systems will work easily with minimal hassle. If you're new to RVing, caring and maintaining your RV holding tanks may seem like a complicated and overwhelming undertaking. 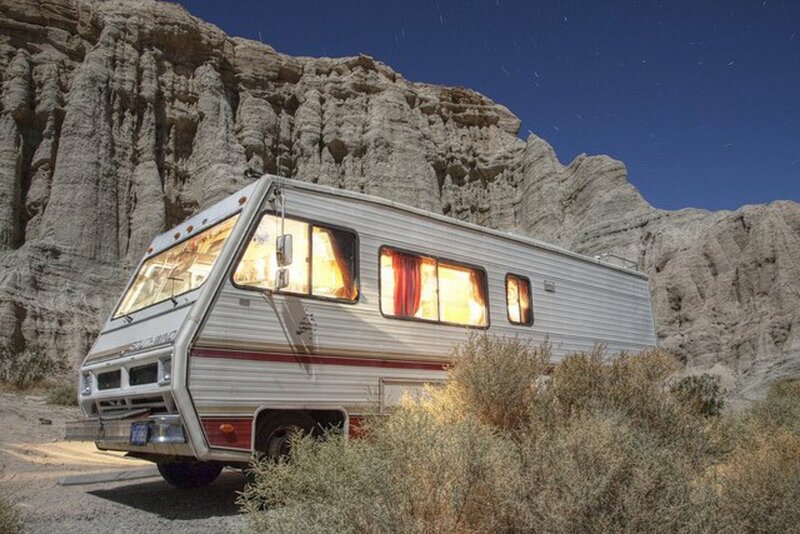 It really isn't that complicated, but there are some things that every RV owner should know. Here are some tips for keeping your systems flowing smoothly. provides water for washing dishes, showers and flushing the toilet. Some people use water from their fresh water tank for drinking, others prefer to buy bottled water. The fresh water tank is filled using a clean hose, one reserved for use with drinking water, which is connected to safe drinking water from a city water system or a well. Generally, a white hose is used exclusively for this purpose, and is stored separately from other hoses so that it doesn’t become contaminated. is used to collect used kitchen and bathwater and stores it until it can be dumped safely into a dump station or campground septic system. stores used toilet water and waste until it can be safely dumped at a designated dump station or campground septic system. One of the first things every RVer must learn is how to deal with these tanks. Filling the fresh water tank is easy as it’s just a matter of hooking the white hose up to city water and filling the tank. 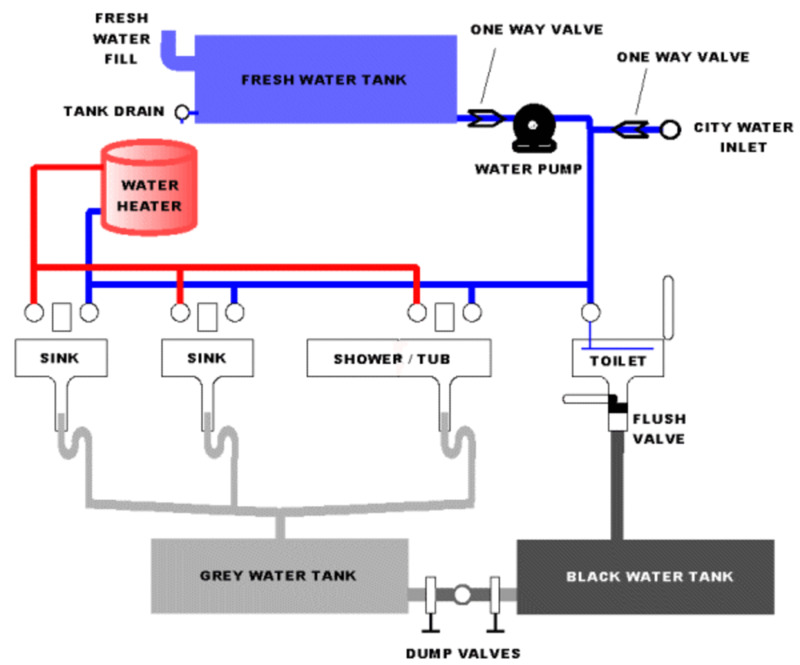 Emptying and maintaining the black and gray water tanks is somewhat more complicated. Your RV manuals will give you specifics of how to hook up your sewer lines to the dump station and how to dump your tanks. However, just as important as dumping is learning how to keep your system smooth-flowing and clog-free. Have you ever enjoyed being a spectator at a campground? OH, Yes! We get out our lawn chairs just to watch some of the newbies try to back their rigs into a campsite! Of course, the whole world loves a clown. If someoe is having a problem, I usually go over to see if I can help. Anyone who has seen Robin Williams in the movie RV has seen the worst case scenario about dealing with waste from the RV tanks. The movie had me rolling in the aisles, as the sewer hose came loose spraying everyone in the area with the waste from the tanks, but at the same time it hit too close to home – my RV home! Although the movie exaggerated the problems of dumping, the scene where other campers gathered around to watch, comment and give advice was not so far-fetched. 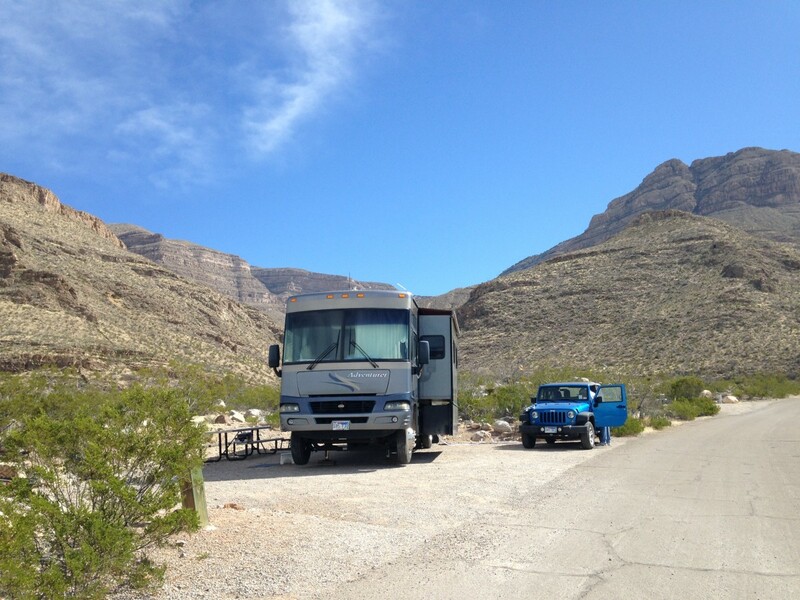 New RVers will quickly find out that their problems are a spectator sport for the rest of the campers. The minute your campground neighbors get wind of the fact that you are having a problem with your RV, they’ll quickly congregate around you to help, watch, comment and give advice- whether you want them to or not. Although it can be embarrassing to be the center of attention as you demonstrate your ignorance of how things work on your RV, you’ll usually find other RVers helpful and knowledgeable. Let them help you out when you need it. Use the proper toilet paper for RV waste water tanks. Although it isn’t necessary to purchase expensive toilet paper in an RV supply store, it’s important to use toilet paper that will disintegrate easily in water. We use Scott’s Safe for Septic paper that can be purchased in discount stores. If you’re unsure about the safety of the toilet paper in your system, do this little test: fill a small jar with water and place a sheet of toilet paper it. Cover the jar and shake it for a half minute. If the toilet paper disintegrates easily, it will be safe to use in your tank. Are you intimidated by the thought of dealing with RV plumbing? No, but I can see why some people are nervous. Sometimes things go wrong! Add water to tank. Always put a gallon or two of water into your black water tank after emptying. Then add tank chemical (usually 4 oz. of liquid chemical per 40 gallons of water that the tank will hold) by pouring it carefully into the toilet and flushing it down. There are several brands on the market. We use RV Toilet Treatment – TST made by Camco. Whatever chemical you decide to use, be sure to use one specifically made for RV tanks and use as directed. The TST will help break down solids and help keep your tank from smelling bad. Don’t skip it! If you are in a very hot climate, you may want to add more chemical after a few days. Flush with enough water. Use enough water to flush thoroughly. Although it's tempting to try to conserve water, too little water will cause toilet tissue and solids to adhere to the lines rather than falling into the tank. This will eventually cause a buildup of solids and prevent the tank from emptying properly when you dump. Only dump when tanks are nearly full. When parking at a campground, hook up your sewer line if you wish, but don’t open the valves to dump until your tank is at least two thirds full. This will ensure that the weight of the collected waste water pushes everything through the lines rather than building up a little at a time and causing a clog. Keeping the valves closed until you are ready to dump will also keep the smells of the sewer system from drifting up into your RV. Dump black tanks, then gray tanks. When dumping your tanks, always dump the black water tank first, then the gray water. The soapy gray water will help to rinse out your hoses. Flush through some clean water to rinse residue out of tank and hoses, but be sure all rinse water goes into the campground sewer connection. Never rinse hoses and let water flow onto the ground around the tank. Ice cube trick. This is a trick that some RVers use to loosen a stubborn build-up that’s deposited on the bottom of the black water tank. Add several gallons of water to the tank and dump in a bag of ice cubes. 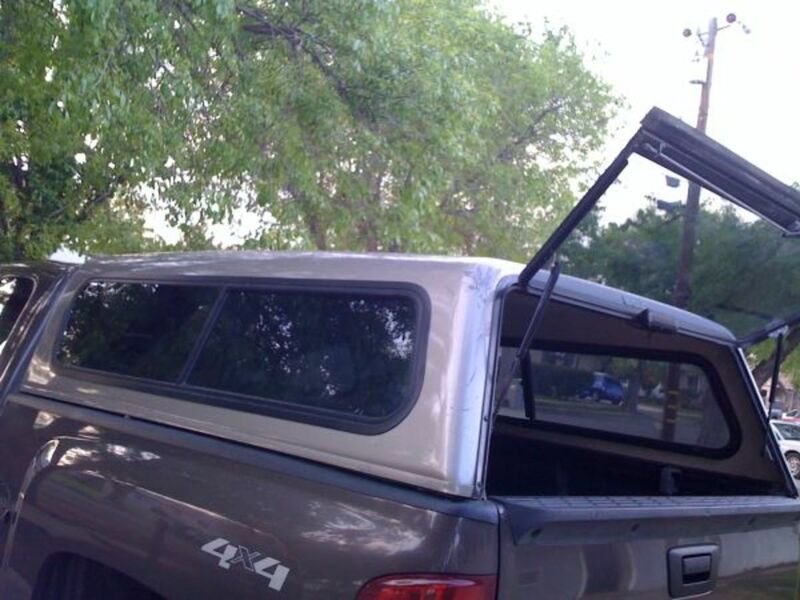 Take your rig for a drive of 5 or 10 miles. The ice cubes bouncing around in the tank will help loosen any buildup and you’ll be able to dump the residue easily. Wear rubber gloves when dumping and avoid touching the outside of the gloves. Rinse off before storing. Carry an extra garden hose for rinsing the outside of the sewer hose and the dump station area. Store this hose separately from the clean water hose and never let the two come in contact with each other. Often the water provided for rinsing at the dump station is not potable water. Never fill your fresh water tanks with any water that is not marked "potable" or "safe for drinking" water. Life is good when the plumbing works! Life is good when the plumbing is working smoothly! No matter where you are - in a house, office or RV, when the plumbing system breaks down, it can cause misery and headaches. Keep your RV plumbing systems running smoothly by following the common sense tips above and your manufacturer's instructions for dumping. Remember: Never dump gray or black water on the ground! It will contaminate the area and may find its way into local drinking water. Have respect for the environment and for the people who follow you by always using proper procedures for disposing of your gray and black waste water. Now, quit thinking about sewage and hit the road! RVers have many options for free and cheap camping if they know where to look. 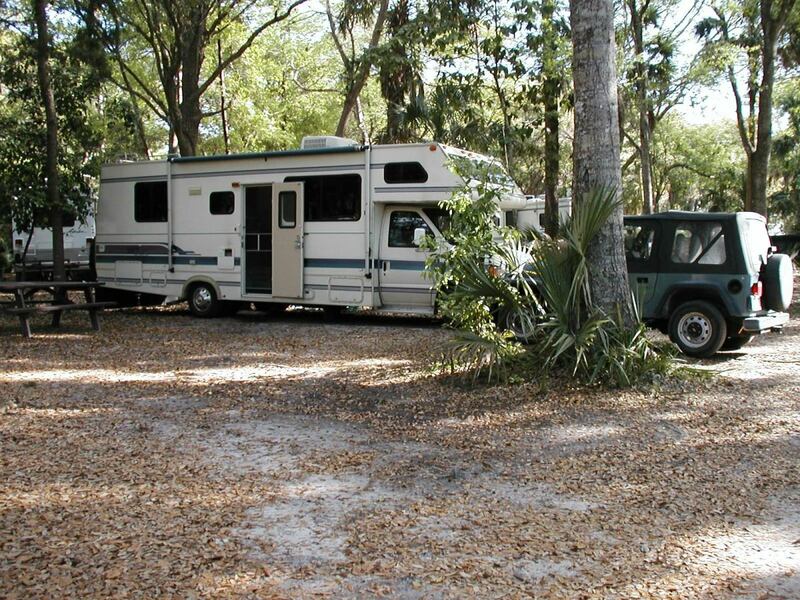 RVers on a budget can find many suggestions here on how to find free and cheap places to camp. 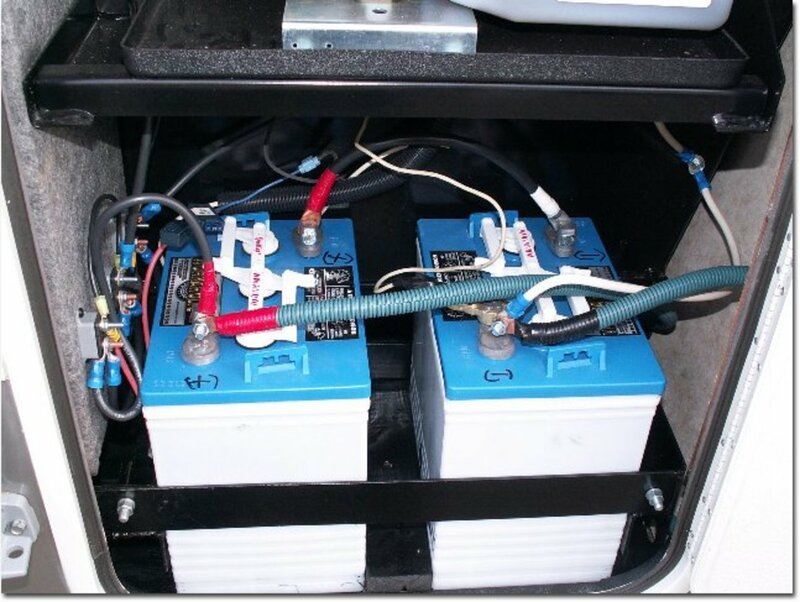 How effective are these advertised "macerators" that help assist with eliminating larger particles in RV holding tanks? As far as I know, they work just fine. However, unless you are planning to camp off-the-grid and pump waste into a large holding tank mounted on a truck bed, it probably isn't necessary. You would probably not need a macerator if you intend to dispose of waste into a dump station or even into a "blue boy" that's on the ground. We know a lot of RV'ers and the only person I've heard of who uses one was pumping waste for a long distance into a home sewage system. I’m only using my fifth wheel 8 to 10 days a month. Is it okay to leave the black tank for three weeks at a time? It's not a problem to leave the tank sit as long as you have plenty of liquid in it. If you don't use it much, you might want to add a few couple of gallons of water and some extra tank chemical to it when you plan to let it sit, especially in hot weather. Cat2556 - You can try sanitizing the tank every so often with bleach to make sure it is not contaminated, but I don't think the white film is from bacteria. My guess is that the white residue is from minerals in the water. Try putting a filter on your water line where it comes into the trailer. We always do this, and it does help filter out impurities in the water. Happy travels!. We, my best friend and I, are new to RVing and in fact have been camping for 6 months in my friends travel trailer. She just upgraded to a larger trailer but my question this. The fresh water tank started leaving a white film on it. How do we prevent this from happening in the new one? Is there something we can put in the tank, or what? Thanks for your info. Lee Shaw - You could have something blocking the valve from closing. That might be taken care of by flushing with lots of clear water. Or the valve could be broken, which sometimes happens. If you can't resolve the problem, it would be best to clear out the tanks as well as you can, flush the hoses and take it to a repair shop that deals in RVs. We had a valve on our Holiday Rambler motorhome that would stick and finally the cable broke. My husband somehow rigged up a rod that would open and close the valve. I hope that your problem can be resolved more easily. Good luck! I have been living in my 2002 Paradise Pointe travel trailer since October 2015 and have opened and closed the valves for grey/black water as needed. Now my black water valve won't close properly. What do I do? Your trip to Yellowstone sounds wonderful! Different RVs do have different sized tanks. Also, the tanks fill at different rates depending on how heavily you use the systems (showers, washing dishes, flushing) and how many people are in the RV. In ours, we have approximately 40 gallon gray and black water tanks. 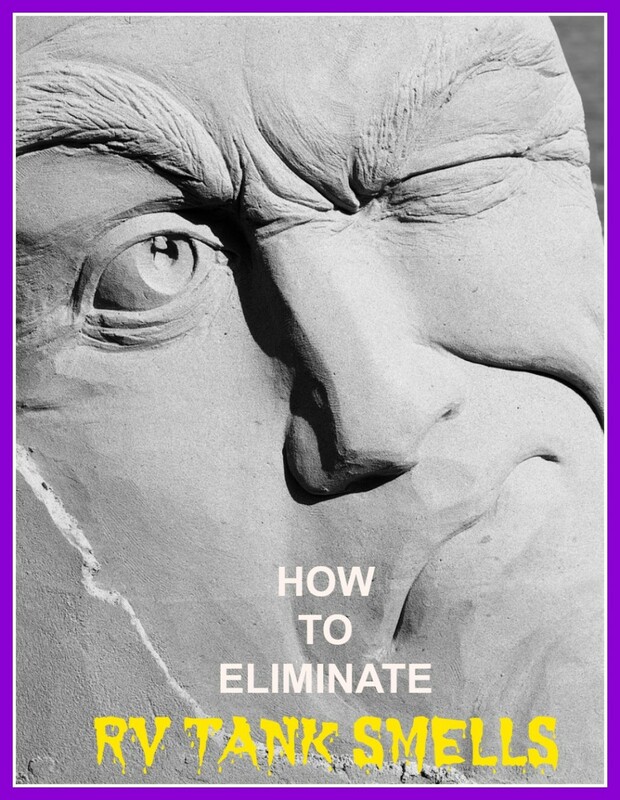 With careful use and only two people, we can go from 7-10 days without dumping. If we use the shower in the RV rather than the campground shower, of course the gray water tank fills more quickly. After a week or two, you'll get a feel for what your needs are, and learn how to go longer between dumping if you have to. Have a great time! Thanks for stopping by to read and to comment! This is great information for the RVer! We are thinking about renting RVs and doing a road trip to Yellowstone next summer with a bunch of families. We will definitely reference your Hub before we go. I'm sure we'll have many spectators looking at us trying to deal with the waste removal! Not looking forward to that part of the trip! I'm assuming that different RVs have different sized tanks, but how often do you have to empty your tanks in your RV? 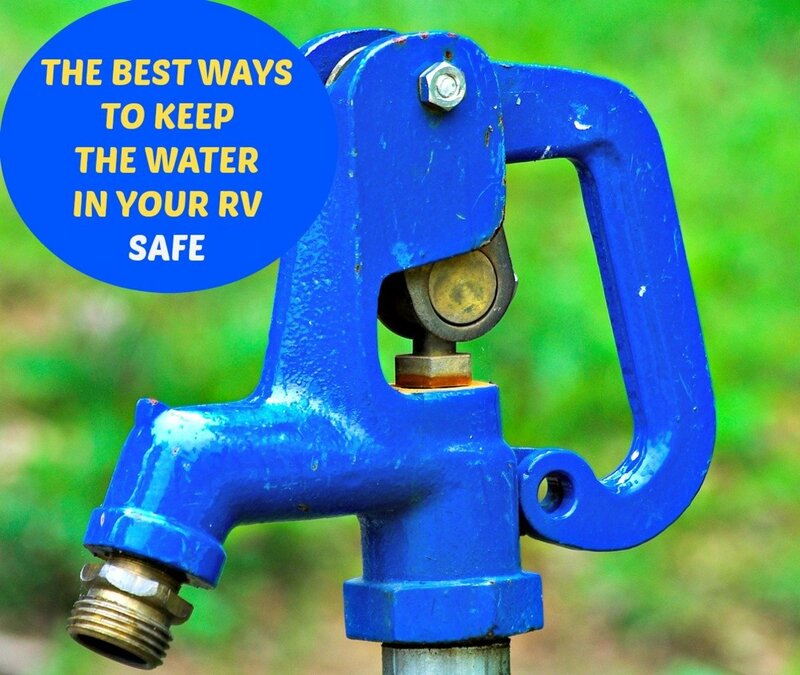 Among RV owners, plumbing, sewer and holding tank maintenance is a much discussed subject as we are all concerned about keeping everything moving right along. The tips above are some we learned as newbies from the old-timers. Thanks so much for stopping by and for your comments! What great advice! My grandparents had some very RV-heavy years and I always wanted to ask them how the plumbing systems in their motorhomes worked, but for some reason always felt shy about it. I'm so glad you've dished the dirt! This is a great read- and rather useful, too! DizyMsLzzy - Your solution of taking a porta potty to craft shows is quite inventive. I used to do outdoor shows years ago, and there certainly were times when I could have used one. Thanks for sharing your story here! Becky Katz - I have heard that some people sometimes use dish detergent in their tanks. Because we spend long periods of time in our RV, I feel more comfortable using the commercial tank chemicals that help help break down the solids and keep odors down. It is every RV owner's nightmare to have a tank that won't empty or that has solidified deposits at the bottom! I'm glad that your Dad's method worked so well for him, but I don't think I'd risk it. Thanks for stopping by to comment! Everyone has ups and downs in their daily lives, and RVers are no exception. Keeping a sense of humor surely enhances our happiness. Dealing with dumping and holding tank waste is not fun, but let's look at the bright side - you’d be surprised at the interesting conversations that occur around the dump station! Your feedback is always appreciated. Thanks for stopping in to read and comment! It's true that beginners find many of the routine chores intimidating at first. Things like dumping will always be a chore, but quickly becomes one of those necessities that we don't mind doing. Thanks for your comments! I think we all have some funny stories about dump station mishaps that have happened to us or someone else. Thanks for sharing yours - and thanks for mentioning the locking connector for the sewer hose. I believe that it's required in many campgrounds now, and it's certainly a very good idea! Back before they came up with the exorbitantly priced chemicals for holding tanks, My dad used dish soap. He would give it a good squirt and it washed things out really well. He also put the dirty hose down the commode and ran it while he was emptying the black tank. That washed any clinging materials free from the tank, so they would go on out. We never had a dirty tank and when it was inspected each spring for cracks or faults, you could see it was clean. We have a small self-contained porta-potty we put in our tent. It is simply a miniature version of what you have described, right down to the chemical needed. However, dumping is simply a matter of separating the top with the clean-water tank (only holds 2 gallons) from the holding tank on the bottom, opening the cap, and dumping it into the nearest flush toilet, rinsing, and dumping again. Great hub--voted up, useful and interesting. Love how you managed to infuse a little humor into this otherwise practical and informational hub that addresses the necessary and unavoidable problem of safe and effective disposal of human waste while RVing. Voted up, useful, funny and interesting. This sounds complicated but once you get the hang of it, its not a big deal. I lived in a 5th wheel for a year and had hook-ups, but you still have to know what the heck your doing. Thanks for the useful tips. Have fun out there. Yes, this is another good one, Steph! I remember watching Doug open the valve once & it wasn't tight in the hole. It flew out & all over his shoes. He was so mad! We went right out & bought one that screwed & locked into the hole for security. You should just invest in the best to begin with! !